Do you need a number one pest control in Las Vegas? However, which services do they offer that makes them #1? Here you can find some helpful information to choose the right one when it is time to call in pest control. No matter what your requirements are, using pest exterminators needs to tackle a variety of pest controls. The company will help rid the premises of different pests making sure they never return. Make sure that the business you choose is up to date with the latest techniques when it comes to controlling pests. Other important things to make sure all the technicians have a license and they are fully insured. Furthermore, the business needs to offer you a satisfaction guarantee on all their services and offer you a dependable service. You may need to pay a consultation fee, but you can find a service providing you a free consultation without hidden costs. If you are worried about the wellbeing of your relatives and the environment, the Best Pest Control Company offers you an eco-friendly service with organic products. They will be able to terminate pests that are dangerous to you and your family without them using harmful chemicals and machines causing further damage. Bed Bug Extermination – the tiniest culprit in the home, is the bed bug, and they can affect the entire house. When choosing a company in Las Vegas, the likeliness is, they offer you experienced extermination to get rid of the blood-sucking critters. Pigeon Control – this is another pest that can harm your environment. The pigeon is not a clean bird and spreads diseases. The harmful bacteria you find in the droppings. They cover your exterior and interior of the attic with droppings and look horrible at the same time. Getting rid of these birds is not a straightforward process, and a professional pest control service can take care of the problem. Removal of Bees –the bee is essential for our ecosystem, and you need an expert to handle them with care. If you only have a few of them in your garden, they might not be harmful. However, once they have made a nest in or around the home, it is a different story. You may have children or pets around the house or even have a bee allergy. Rodent Control – these critters are the worst of all as they cause damage everywhere they go. They damage the infrastructure of the house and even spread diseases. If you need the best rat exterminator, the likeliness is the pest control business in your area handles the problem with ease. Ant Control – there is nothing more sociable than an ant. Once you see one of them roaming the house, the chance is the other is not far behind. They take over your home and present you with different threats, especially structural damage. 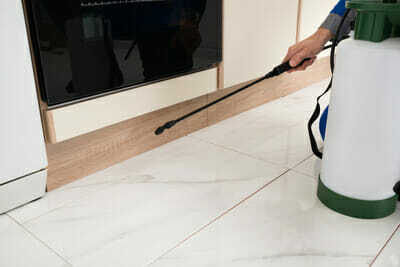 You want to use a reputable business, and the best pest control company offers you a guarantee their methods tried and tested. Furthermore, they will provide you with an assurance their services are humane to use and safe for the environment. Additionally, the company knows that each area is not the same and will offer you tailored services according to your infestation needs. The truth is there is no solution to each problem and will not only eliminate the problem but prevent it from returning.